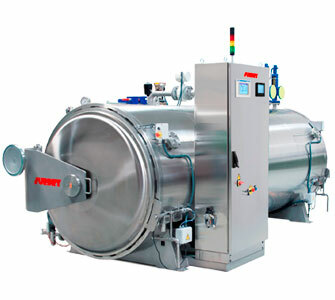 Surdry static retorts are suited to all sterilizing or pasteurizing needs from small and medium capacity up to the highest production volumes in the food industry. Single or double door models are available with either horizontal swing type or vertical opening and closing. 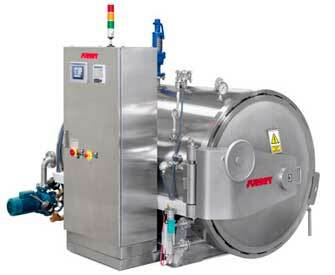 SWS (Steam+ Water Spray) and other process systems are offered. Most of the applications do not require or benefit from agitation and therefore static retorts are the most common models in the food industry. 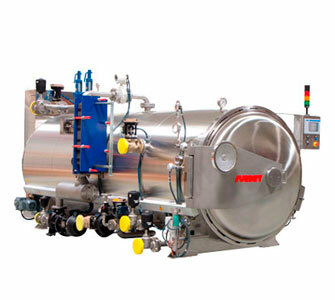 The high quality design and manufacturing, along with the reduced number of moving parts, make the Surdry static retorts highly dependable machines with minimum maintenance requirement. Static Retorts are available in all Surdry vessel diameters, 1300, 1400,1500 and 1700 mm with length up to 8 meters. 1X: Stands for the vessel diameter in decimeters.